Hello guys , in this post I am gonna talking about best 3 domain and hosting provider sites I give my views upon these domain provider websites , I think it might be helpful to read this post. The godaddy have all types of domain and have good hosting godaddy is the most controversial domain registrar on the planet and controversy seems to find a way through them every time. Godaddy offers a cheap domain for all new users. it costs $11.99 for the first year and $14.99 for every year after that. They are still arguably the leaders of domain name registrars and there’s no reason you shouldn’t be checking out what they have to offer. 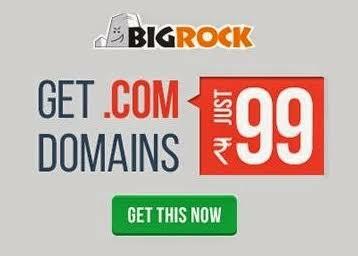 Bigrock is the best domain provider site but it’s one thing is bad that it’s hosting is not that much good than godaddy but you can buy it’s hosting in cheap price even cheaper than godaddy so, I think it’s a good domain provider.